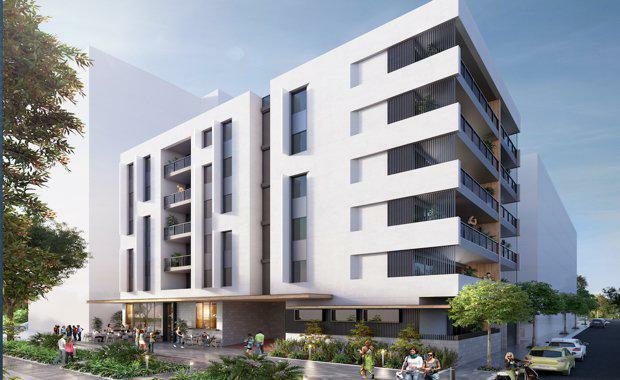 Having launched in mid-September this year, the first release of the 354 Bowden precinct's $85 million development - On the Lane - has recently sold more than half of its offerings with promising signs of a 100% sales result of the development in the near future. The five-storey offering is a joint venture by two of South Australia’s leading property groups, Development and Advisory and Buildtec Group, just on the doorstep of the CBD with the best of the city fringe and its neighbours at its fingertips,“On The Lane features 26 stylish apartments with a focus on outdoor living thanks to its sought-after proximity to the Bowden Town Square and a design that is underpinned by the highest green standards in the country,” Development and Advisory Managing Director Ben Yates said. The one and two bedroom apartments feature contemporary chic design and include stylish monochrome cabinetry, track lighting and balconies with views to the residents’ courtyard or the Bowden community. Residents will also have access to underground secure carparks and bike racks. The first release was officially launched for VIP sales in mid-September, with 13 of the 26 apartments sold. “We’re ecstatic by the response which we’ve had to date,” said Buildtec Group Managing Director Anthony Carrocci, who also developed the Nexus Apartments which sold out prior to completion in Bowden. Local architecture firm Hames Sharley has designed the multi- building development.